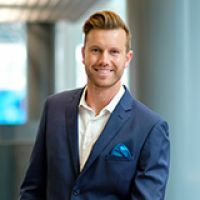 Think big and dream big, says AUT business alumnus Daniel Millward who is one of the co-founders of start-up Savvy Students Ltd.
“I’m passionate about my job because I’m working for a company that has a vision to enrich students’ lives. I strongly believe in giving back to the community and society at large. AUT is a great springboard for budding entrepreneurs, Daniel says. As an aspiring entrepreneur, Daniel worked on creating Savvy Students Ltd during his final-year workplace experience, alongside some of his classmates. Being able to spend a semester at San Diego State University in California was one of the highpoints of his time at AUT, Daniel says. His time at AUT was an incredibly fun growth experience, says Daniel who completed both the Bachelor of Business and the Bachelor of Sport and Recreation.